"From childhood, Susan Gray and her cousin Louisa May Alcott have shared a safe, insular world of outdoor adventures and grand amateur theater -- a world that begins to evaporate with the outbreak of the Civil War. Frustrated with sewing uniforms and wrapping bandages, the two women journey to Washington, D.C.'s Union Hospital to volunteer as nurses. Nothing has prepared them for the horrors of this grueling experience. There they meet the remarkable Clara Barton -- the legendary Angel of the Battlefield -- and she becomes their idol and mentor. Soon one wounded soldier begins to captivate and puzzle them all -- a man who claims to be a blacksmith, but whose appearance and sharp intelligence suggest he might not be who he says he is. Through the Civil War and its chaotic aftermath to the apex of Louisa's fame as the author of Little Women and Lincoln's appointment of Clara to the job of finding and naming the war's missing and dead, this novel is ultimately the story of friendship between women -- women who broke the mold society set for them, while still reckoning with betrayal, love, and forgiveness." The Story of Civilization, Vol. 11: The Age of Napoleon: A History of European Civilization from 1789 to 1815 by Will and Ariel Durant "A comprehensive, integral account of European life, society, politics, arts, science, philosophy, economics, manners, and morals of the epoch." "One of the queens of historical fiction offers a new take on the mesmerizing young woman and poetess who inspired Shakespeare's most famous female character. Before Juliet Capelletti lie two futures: a traditionally loveless marriage to her father's business partner, or the fulfillment of her poetic dreams, inspired by the great Dante. 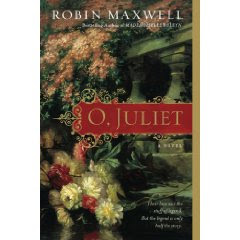 Unlike her beloved friend Lucrezia, who looks forward to her arranged marriage, Juliet has a wild, romantic imagination that knows not the bounds of her great family's stalwart keep. The latter path is hers for the taking when Juliet meets Romeo Monticecco, a soulful young man seeking peace between their warring families. A dreamer himself, Romeo is unstoppable, once he determines to capture the heart of the remarkable woman foretold in his stars. The breathless intrigue that ensues is the stuff of beloved legend. But those familiar with Shakespeare's muse know only half the story... "